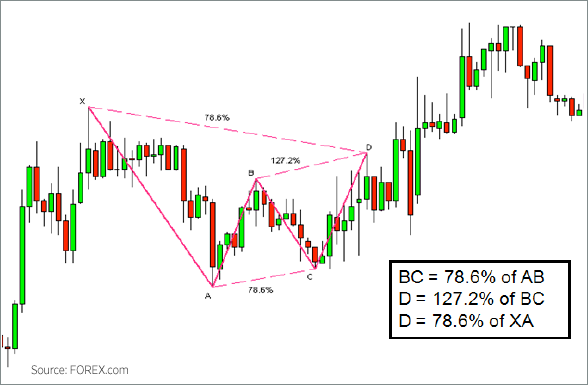 What is the Bearish Gartley Pattern? A visual, geometric price/time pattern comprised of 4 consecutive price swings, or trends-it looks like a “W” on price chart. A leading indicator that helps determine where & when to enter short (sell) position, or exit along (buy) position. 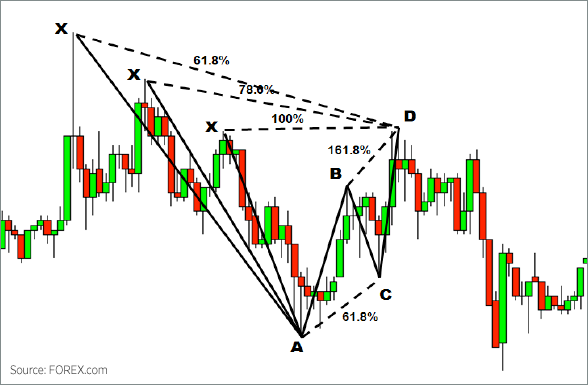 Why is the Bearish Gartley Pattern important? Helps identify higher probability selling opportunities in any market (forex, stocks, futures, etc. 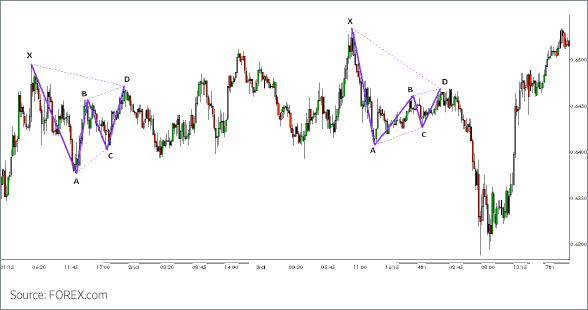 ), on any timeframe (intraday, swing, position). Reflects convergence of Fibonacci retracement and extension levels at point D suggesting stronger level of resistance, thus higher probability for market reversal. 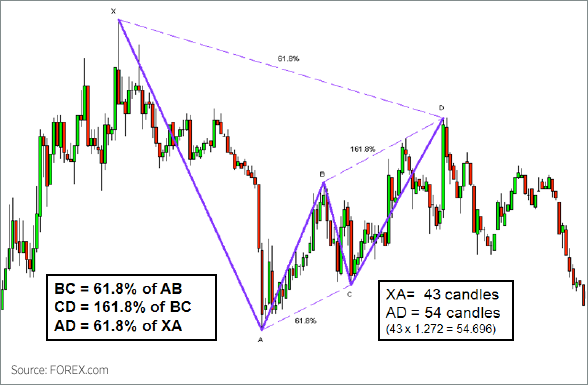 X-to-A ideally moves in the direction of the overall trend, in which case the move from A-to-D reflects a short-term correction of established downtrend. Each turning point (X, A, B, C, and D) represents a significant high or significant low on a price chart. 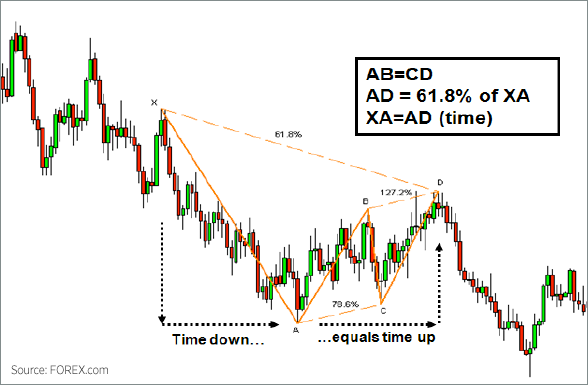 These turning points define the four consecutive price swings, or trends, which make up each of the four pattern “legs.” These are referred to as the XA leg, AB leg, the BC leg, and the CD leg.